A few weeks ago, I was in Washington D.C. shooting for various clients. While there I had an opportunity to meet up with some prestigious memebers of Ferrari Club. While there, I got some excellent footage of classic Ferrari’s aswell as new ones. 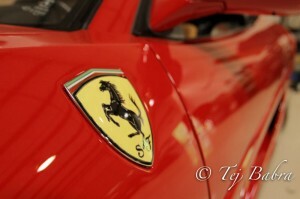 I also had the opprtunity to meet Tom Yang and his shop which is well known Ferrari Restorations. Tom Yang was a pioneer in blogging about restorating classics Fearri’s. Tom Yang has had an illustrious career in broadcast over 18 years in the business, working the professionals from CBS News to the highly popular and the David Lettterman Show. Unfortunately, I did not get enough time to converse with him, due to production time restraints. I spent the bulk of my time shooting behind the lens of my 7D.